Poor old Monday, the most hated day of the week... But Monday can be magnificent! All it wants is to be liked! 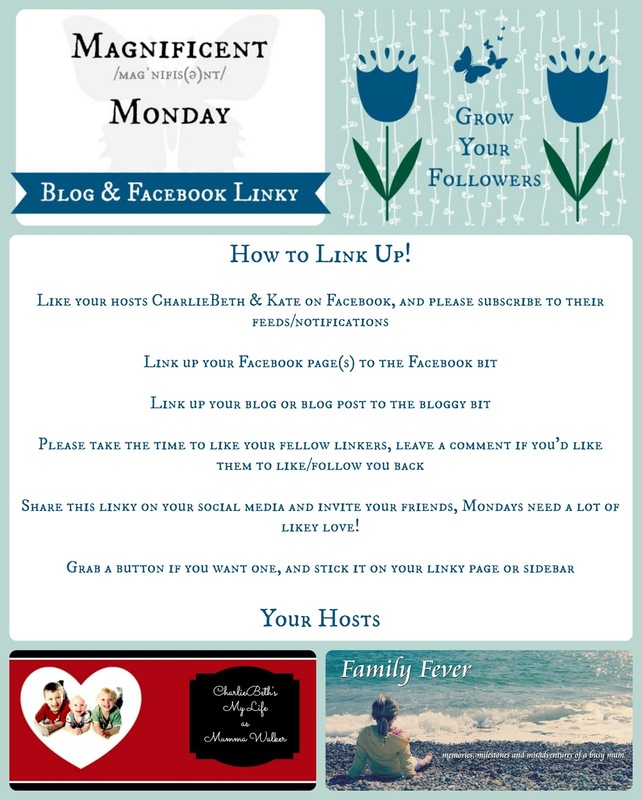 Like this Monday by liking some new Facebook pages and making some new friends! By participating, linkers agree to be added to the blog.family-walker.co.uk email newsletter list, but don't worry, I wont spam you! I'll just email you invitations to linkups.